I’ve written before about my love for Canvas Factory. With Mother’s Day around the corner, a canvas for mom or grandma makes a great gift! Ordering is super easy and I really appreciate the tracking updates the company sends via email so you know when to expect your canvas. I recently ordered a canvas of my youngest child. She’s growing up way too quickly so I wanted to preserve a memory of her babyhood in a canvas. As always, I was thrilled with my canvas! To enter to win your own 16 x 20″ canvas, simply visit Canvas Factory and leave one comment below sharing what you would put on your canvas. The giveaway entry period will end on Sunday, March 25th at 6:00 pm Eastern time . Open to US and Canada. Winner will be selected with random.org. Disclosure: Canvas Factory provided me with a coupon code for a free canvas print in exchange for this review. All opinions are my own and I did not receive any other compensation. The prize will be provided by Canvas Factory. Update: The winner is #11, Rachel! It’s almost September and I’m already thinking about Christmas gifts. Canvas prints make great gifts for the grandparents. I’m a big fan of canvas prints…I have 8 of them in my living room! Right now Canvas Factory is having a special of 65% off storewide, for a limited time. It’s the perfect time to take some end of summer photos and order a canvas as a gift for a family member or to keep for yourself. Their web site is very user-friendly. Ordering is simple and you can choose effects like Sepia, Blue, and Sharp. It’s fun to experiment with the options. I really like how Canvas Factory provides lots of updates via email so you know when your canvas is in production and when it ships. You can track the package via UPS. I’m excited to offer a giveaway sponsored by Canvas Factory! The giveaway entry period will end on my daughter’s birthday, at 10 am Eastern time on Saturday, August 26, 2017. Open to US and Canada. Winner will be selected with random.org. For as long as my husband and I have been married, I have always been the one in charge of filing our tax returns. This is not a job I look forward to doing year after year, but Turbotax makes it virtually painless. With every relocation, home purchase, and new addition to the family, Turbotax is there to explain how those life changes can affect your tax situation. I had the opportunity to try out Turbotax Deluxe this year. Since there were no big changes for our family in 2016, filing was a snap! What’s great about Turbotax is that your information from the previous year is saved for you so you don’t have to re-enter anything. I especially appreciate how W-2 information was securely imported from my husband’s employer…anything that cuts down on data entry is just fine by me! Turbotax’s CompleteCheck reviews your return for missing or incomplete information so that you can feel secure that you’re filing everything correctly. I went through the whole program in 20 minutes or so (and that’s with a toddler clawing at my leg). I would highly recommend Turbotax Deluxe for any busy mom (or dad!) who has the unenviable task of filing tax returns. I’d like to thank The Outcast Agency for the opportunity to review the product. I did not receive monetary compensation but I was provided a free product code to try it out. Desde que mi esposo y yo hemos estado casados, yo siempre he estado encargada de declarar nuestros impuestos. Este no es un trabajo que estoy deseosa de hacer año tras año, pero Turbotax es prácticamente sin dolor. Con cada traslado, compra de casa y nueva adición a la familia, Turbotax explica cómo los cambios de vida pueden afectar su situación fiscal. Tuve la oportunidad de probar Turbotax Deluxe este año. Ya que no hubieron grandes cambios para nuestra familia en 2016, ¡declarando nuestros impuestos fue muy fácil! Lo bueno de Turbotax es que guardan la información del año anterior así que no tienes que volver a entrar la información. Me gusta especialmente cómo la información de W-2 fue importado del empleador de mi esposo… cualquier cosa que reduce la entrada de datos es muy agradable para mí! CompleteCheck de TurboTax revisa la información que falta o que sea incompleta para que usted se pueda sentirse segura de que está presentando todo correctamente. Termine el programa en 20 minutos o menos (y eso es con una niña pequeñita agarrada a mi pierna). Definitivamente recomendaría Turbotax Deluxe para cualquier mamá (o papá) que tiene la tarea de presentar declaraciones de impuestos. Me gustaría dar las gracias a The Outcast Agency por la oportunidad de examinar el producto. No recibí compensación monetaria pero recibí un código de producto gratis para probarlo. Update: Giveaway is closed. The winner is #3, Marianna! Canvas photo prints are a great way to display your favorite family photos. Canvas Factory makes ordering a snap, and they’re having an incredible special right now….canvas prints are 70% off! Now would be the time to take that favorite family vacation photo that captures a precious moment in time and order a canvas print you can enjoy for years to come. You can upload photos from Facebook, Instagram, Dropbox, or Flickr. You can also play with fun effects like Sepia, Blur, and Mean Removal. Adding text to your print gives it a customized touch. I’m pleased to offer a great giveaway sponsored by Canvas Factory! To enter to win your own 16 x 20″ canvas, simply visit Canvas Factory and leave one comment sharing which style and size photo print is your favorite. The giveaway entry period will end at 10 am Eastern time on July 27, 2016. Open to US and Canada. Winner will be selected with random.org. Hi, Everyone. My pup is in a Facebook contest so I’m offering up a giveaway to get likes for his picture. The contest lasts just a few hours and will be over at 7:00 pm tonight, so this is a quick one. 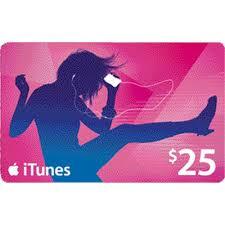 To enter to win a $25 iTunes gift card, simply click like on his picture HERE. You don’t have to like the business page, just the photo. Then comment below with your Facebook name. I appreciate your help, and I wish everyone good luck! *Giveaway ends tonight at 7:00 pm Eastern Time. You must like the photo to enter this giveaway. Likes will be verified. I will use Random.org to select a winner for the $25 iTunes gift card. Hi Everyone! I have a $5 Amazon Gift Code up for grabs. You must have a Pinterest account to enter this giveaway. To enter, go to this link and click on the like button. Then come back to this post and leave me your Pinterest name in the comments. This giveaway is only for those who have Pinterest and click on the like button. Thanks for playing! Giveaway ends Monday July 8, 2013, at 11:59 PM Eastern Time.